Sometimes when we write, we forget to fill in the details of the scene. Take a look at this cup of spilled coffee. Here is a description of what might have happened. Version 1: As Sue entered the room, a man ran past her making quickly put her coffee on a nearby table. What a mess. Everyone at church was upset. Version 2: Sue held on to her piping hot coffee and entered the church community area looking for her friend Sadie. The sun shone down through the giant dove etched in glass causing a glare in her eyes. As she adjusted to the light a man with a tattered coat ran towards her. “Out of my way!” He shouted. In his hands he clutched the velvet-lined golden offering plate, now full of money and checks. Sue quickly put her coffee on the nearby table, spilling the precious brown liquid onto the Formica. Sue stuck out one leg as the man passed her and his blue-jean clad legs went askew over her sensible black church pumps. The coins, bills and folded up checks flew everywhere. It was a mess. Sadie ran up to Sue, “This is so upsetting, but Sue you saved the day.” The men of the church surrounded and picked up the thin man off the floor. The Pastor walked up and addressed the crowd. You can see in Version 2 there is so much more of a story than a spilled cup of coffee. 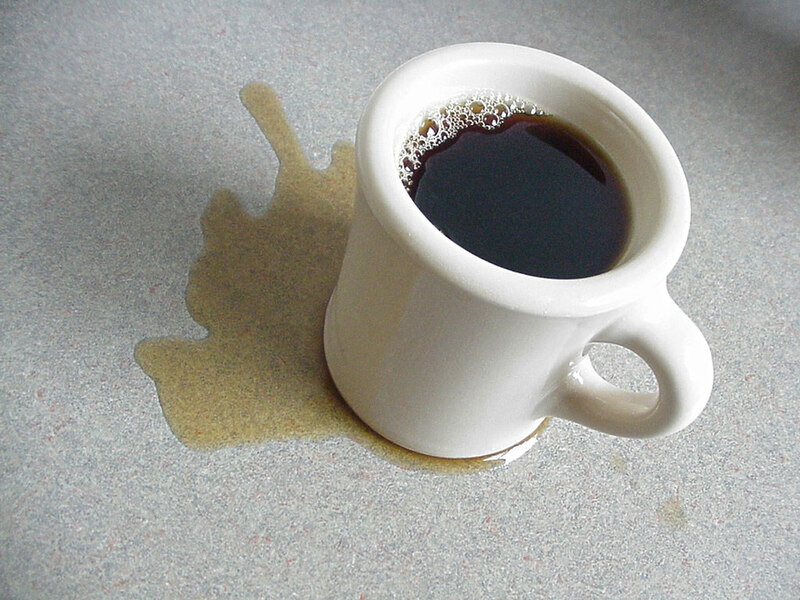 Creative Writing Exercise: Take the spilled cup of coffee and make your own scene involving action around it.